We’ve come up with our own take on the state abbreviation bumper stickers that are so popular nowadays. Our version is rectangular, to look more like highway road signs. But we didn’t stop at simply putting our designs on bumper stickers—we also put them on metal signs and wall decals! Retro Planet’s take on the standard oval abbreviation sticker, is the cool new street sign inspired bumper sticker! Our versions are available in 3 different styles: a vibrant black and white version, a slightly distressed version, and then finally a totally rusted out, found it on the side of the road version. (The super distressed version is currently only available as wall decals.) These fun signs, wall decals and bumper stickers allow you to express yourself in your unique style, while declaring your pride in your home state, or fondness for places you’ve been. 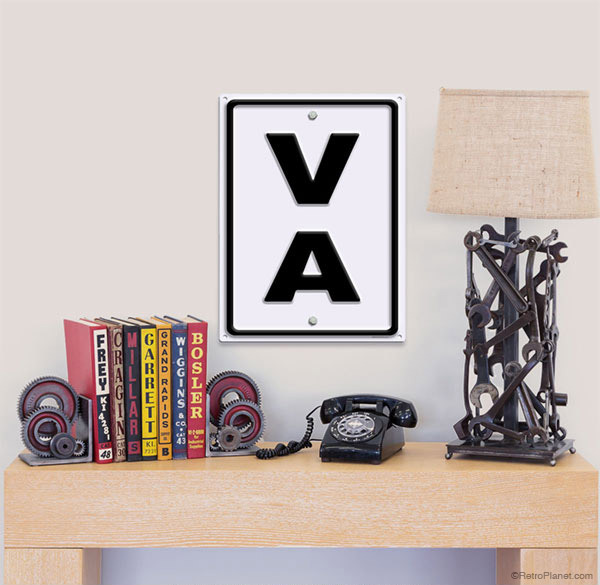 And it’s fun to note that, although our bumper stickers and wall decals are flat, the artwork includes shadows that create the look of an embossed road sign. This 12 x 16 inch steel sign has been designed to look like classic style highway signage. 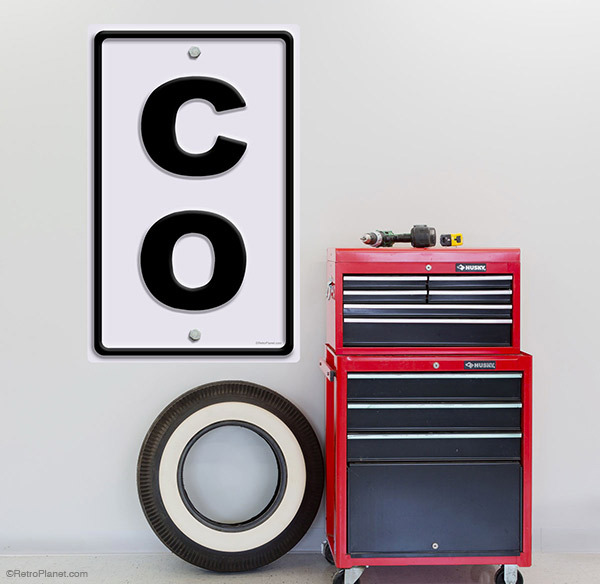 The Colorado state abbreviation wall decal is the perfect addition to the wall of a garage or man cave. 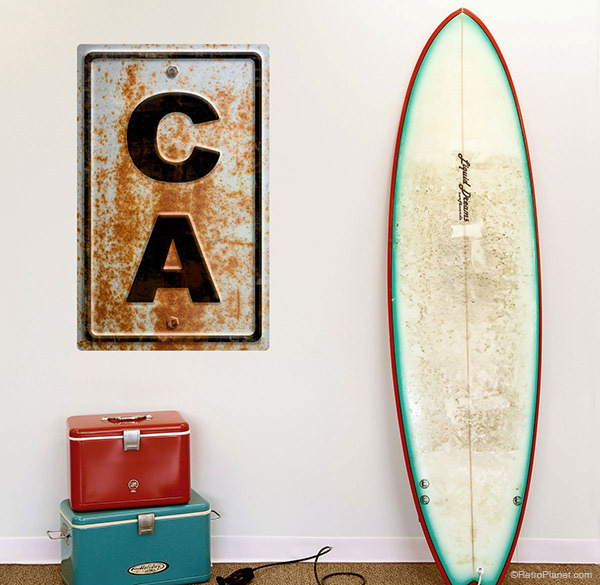 A rusted version of the state abbreviation wall decal has a realistic weathered look. 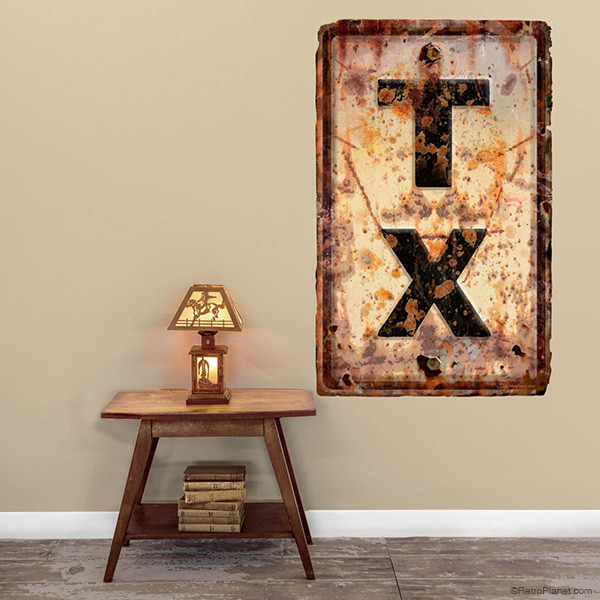 Texas state abbreviation distressed style wall decal has a great flea market find look to it. 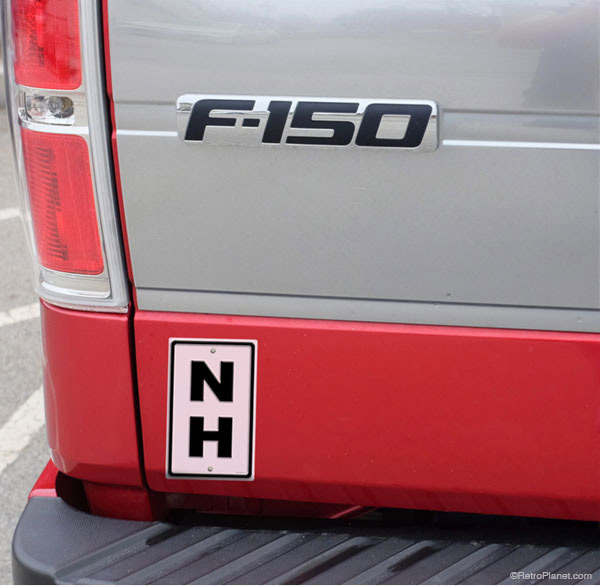 Get the look of flea market decor with a bumper sticker, sign or wall decal that features your home state. (We’re sorry, but at this time not all states are available.) This great art gives you an easy way to decorate and to create a customized look in your home, business or on your own car.